Kate's summer wardrobe is abundant in hand-me-downs from her older sisters, so I only made her things in styles in which she is showing a particular interest. She loves skirts, that girl does. She's left the pettiskirt phase behind her, and moved onto circular skirts. If allowed, she will wear the chiffon dress-up skirts from three years ago as regular clothes, sometimes without leggings. Grrr. So I made her a couple of circular skirts in nice, robust knit. They are far more modest than the chiffon ones. 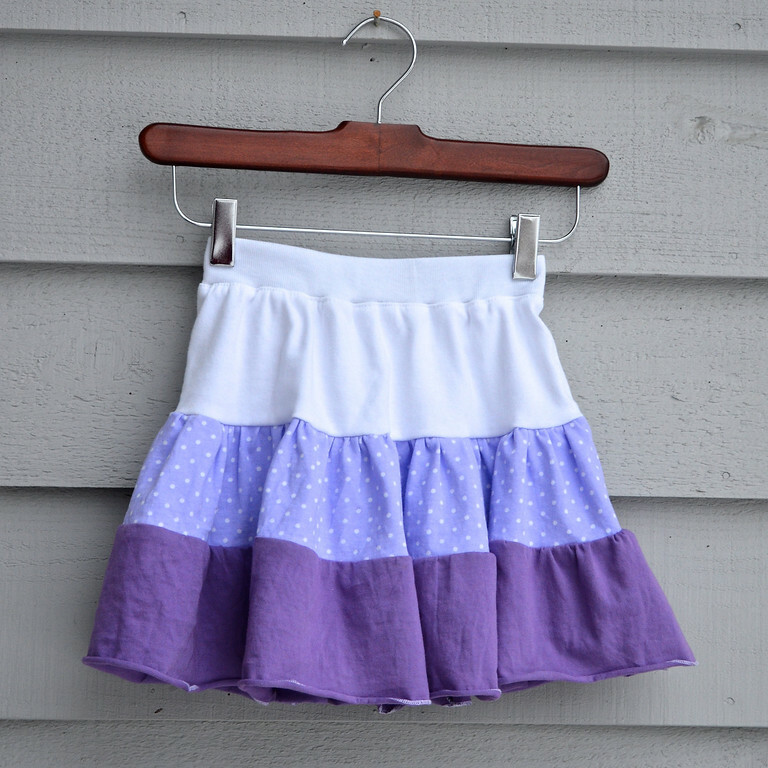 She also loves Emily's tiered knit skirt, and has hijacked it to prove the sincerity of her adoration, so I made her a purple version. She has since asked for a blue one as well, which I have promised to produce when we get back from our trip. 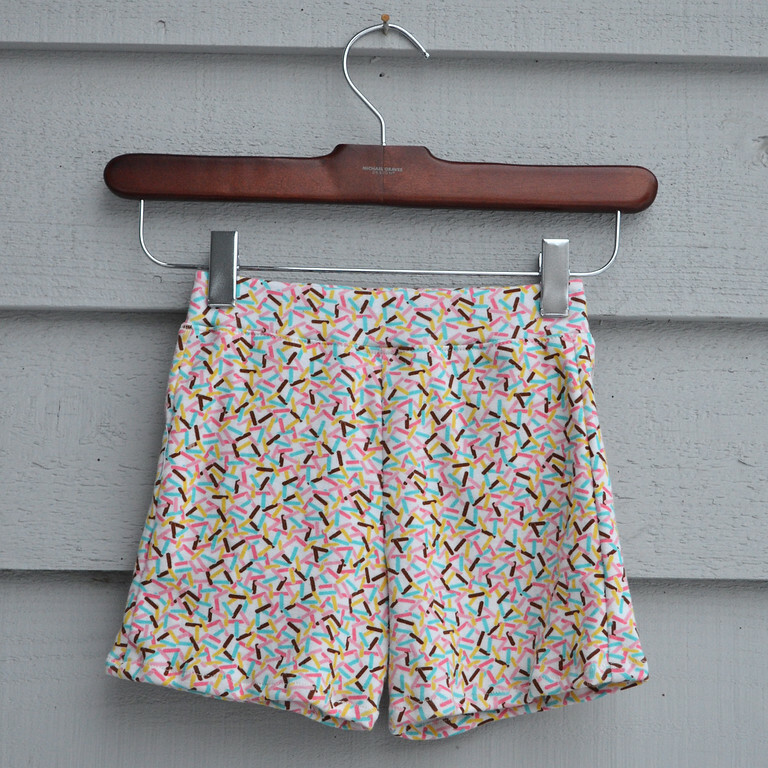 Also made her a couple of pairs of shorts, just in case she twirls those full skirts with a little too much exuberance. Like Jenna's, these 5 garments are all knit. One thing I will share that facilitated speeding through these knit bottoms is the knit waistbands. I cannot recommend them enough for speed, neatness and comfort. The kids love them, and I love making them. They are done in half the time that the scrunchy thread-the-elastic-through-the-casing-with-safety-pin waistbands require. 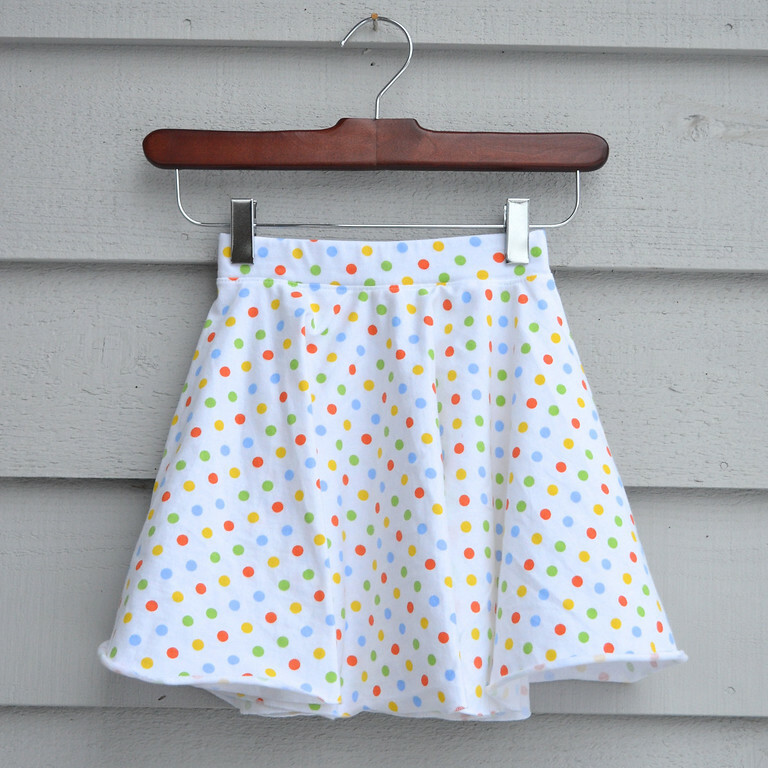 I even make them for woven skirts. 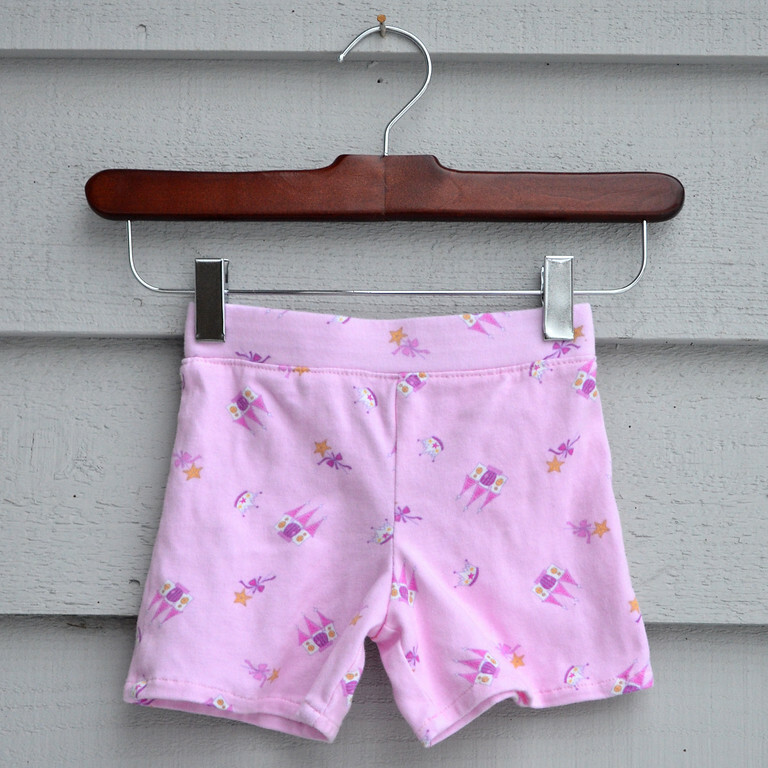 Actually, since this I had this sewing epiphany, I have not made an elastic casing waistband again! So pretty! Such lucky girls you have! Oh I love all that smooth waistband goodness! you have been so productive, the girls are going to be set for their adventure. Safe travels! 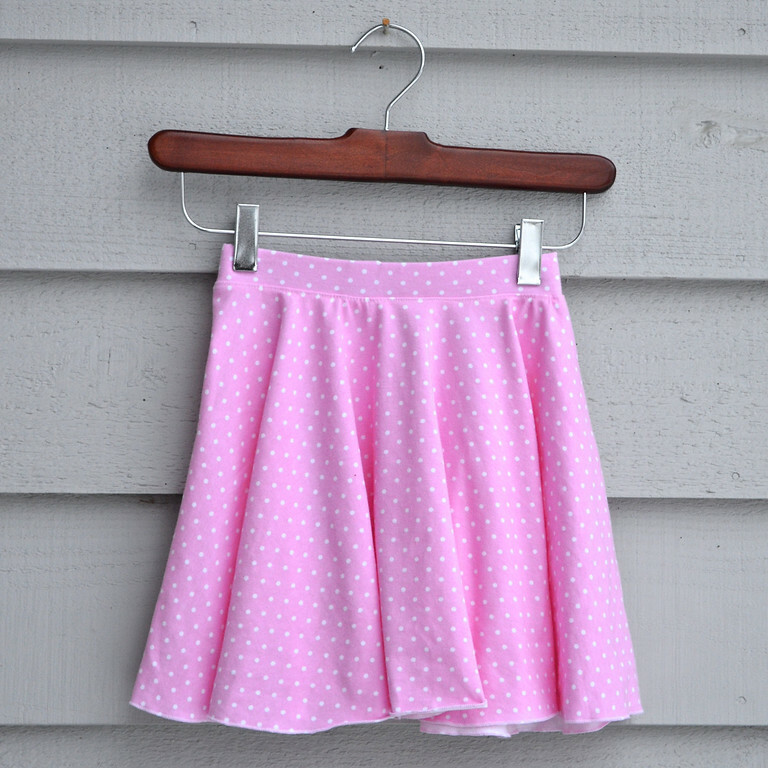 Those are super cute, I want the polka dot one in my size!